I occasionally visit a club that was the venue for dances I attended as a teen-ager. As I enter, I “hear” the strains of “Blue Moon” — a song I would otherwise never think about. Because the next Blue Moon will be July 31st, I wondered if I could connect blue moons and a document I have been spending a lot of time with lately (cf. this site’s Lent resources) : Pope Francis’ encyclical, Laudato Si’. 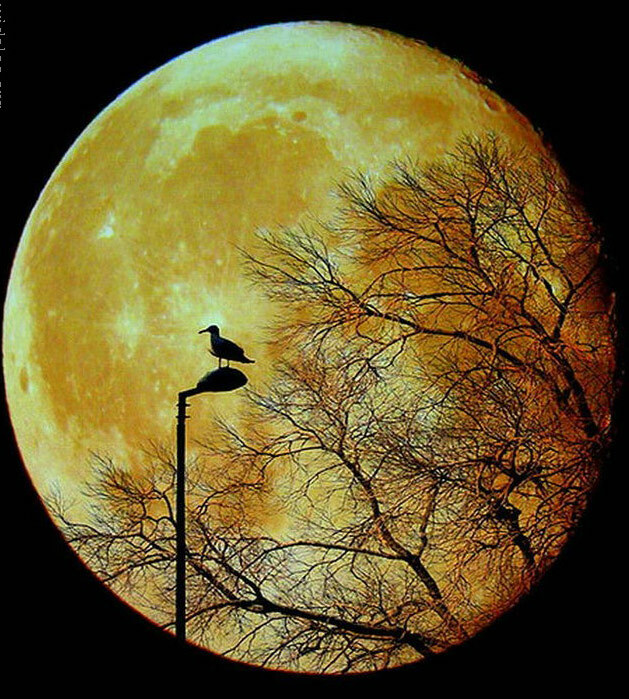 “Blue Moon, you saw me standing alone, without a dream in my heart, without a love of my own . . . and when I looked the moon had turned to gold!” I was happy to learn that composer Richard Rodgers and lyricist Lorenz Hart originally wrote the song in 1934 as “Prayer” for an MGM film in which it was ultimately not used. It had several other titles and lyrics, but the version we (at least we of a certain age) know became a hit in 1949 and again in 1961. But it truly began as “Prayer” — propitious for me as I begin this blog! In the current definition, the term Blue Moon refers to a second full moon within a calendar month, an event that occurs once every two or three years. The identity of the moons was important in the ecclesiastical calendar (think Lent and Easter), and a year with a 13th moon complicated the process. There were names for only 12 moons. By identifying the 13th moon as a blue moon, the ecclesiastical calendar was able to stay on track. The extra moon is rarely blue, a phenomenon that can be caused by the type of dust or smoke particles in the air that scatter blue light. I could not find the origin of why the extra moon was called blue, but it works well for this blog. The popular expression “once in a blue moon” and lyrics in the haunting melody draw me to make a few connections between Blue Moon and Laudato Si’. Pope Francis’ encyclical is titled, begins with, and consistently builds on St. Francis of Assisi’s belief that all creation is one and each part is brother and sister to us. After Brother Sun, Francis mentions Sister Moon and stars, followed by Brothers Wind and Air, Sister Water, Brother Fire, culminating with Sister Earth, our mother. (So, I shall refer to Sister Blue Moon.) These constitute our Common Home for which Laudato Si’ implores our care. That our Common Home is in big trouble is not news to readers of this blog. We might well feel “blue” when we consider all the problems Earth, with everyone and everything whose lives are interconnected as part of it, face at this critical time. The Pope’s encyclical falls into that category, although it follows a splendid line of papal social encyclicals that began in 1891 with Pope Leo XIII’s Rerum Novarum on the Rights and Duties of Capital and Labor. This encyclical is the first not to be titled in Latin, but in Italian. It is the first encyclical to be written on this topic (though many popes have written in concern for the environment and the poor). It is the first to be written by a Jesuit Pope, as Pope Francis has that distinction. It is the first to use inclusive language. It is the first to quote from not-Catholic sources such as the Earth Charter. And arguably it is the first to have received such interest, pro and con. Standing alone is one of the causes Pope Francis singles out as contributing to the devastation presently causing many to feel blue. (Not his words, of course!) Throughout the document he urges us to act in community and for the good of the global community: the common good, especially the poorest people and poorest parts of our interconnected common home. He recognizes, both from science and experience, how closely we are interconnected with one another and with all creation to follow us. Isolation does not exist in nature. No one is standing alone! Without a vision, the people perish, indeed. Pope Francis envisions a new economic and ecological world order where the goods of the Earth are shared by everyone, not just exploited by the rich. He echoes Thomas Berry’s hope for a community of subjects forming an emerging epoch when humanity would live in a mutually enriching relationship with the larger community of life on Earth. Was this not Jesus’ vision expressed in the Gospels? We have the dream in our hearts! Pope Francis consistently calls us to love one another, the “other” being all the rest of creation, especially the poor and disadvantaged. He uses the word “love” more than 70 times! He reminds us that it was God’s love that gave us this creation in the first place ( and ongoing) and that all of our Scripture writings tells us of the love that God has for us. We have a love of our own, but love by its definition must be shared! when I looked the moon had turned to gold! Gold symbolizes wealth used wisely. It is also the symbol of good health. We readers and implementers of Laudato Si’ might take it as a reminder of our call to turn this ailing world into a just and healthy common home, where wealth and the resources needed to acquire it are shared for the common good and the result is health for humans and all life on our endangered planet. No matter what color we see when we look at Sister Moon, let us unite with others, keep clear the vision, and act in love to create a world where wealth is used wisely and people and planet gain their health. To paraphrase St. Francis’ Canticle: All praise be Yours, my Lord, through Sister Blue Moon — and may we consistently act together to turn it to gold! I cannot omit St.Ignatius Loyola in this blog. His feast is celebrated on July 31st and his renowned Spiritual Exercises begin and end with a contemplation on divine love as experienced through all creation. It doesn’t seem a stretch to suppose that these meditations influenced our first Jesuit pope and his first encyclical. Terri, I enjoyed your explication and meditation on Laudato Si’ in the light of “Blue Moon.” Although I always loved that song, I did not know what a blue moon is, or whence “once in a blue moon” got its meaning. And your meditation offers much more of substance. Thanks. One small detail is worth bringing to your attention. Laudato Si’ is not the first encyclical to be written for everyone. Pope John XXIII’s Pacem in Terris was addressed “to all men and women of good will,” as Pope Francis says in paragraph 3. I guess you could say Francis removed the “good will” limiter, though, so in some sense you are right! 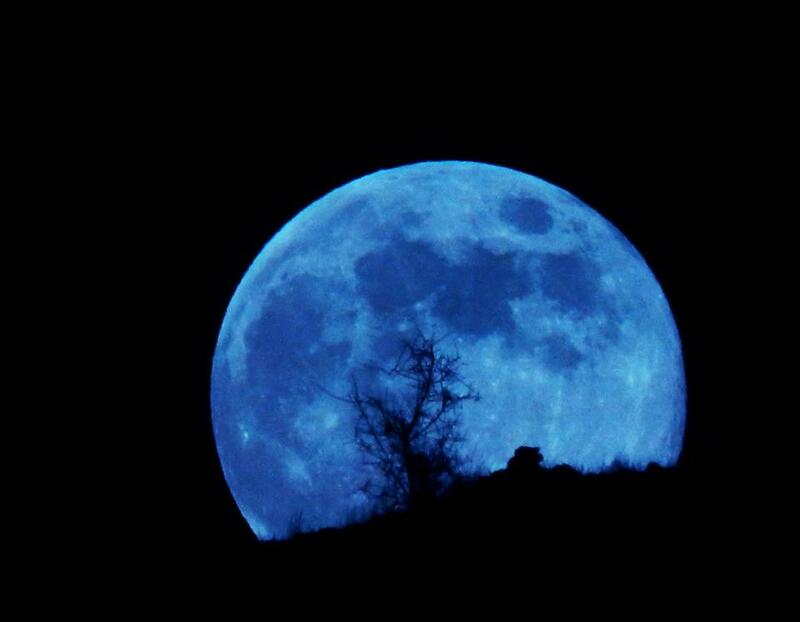 Thanks for posting Blue Moon. Thanks for your affirmation, Frank, and also for your enlightenment! Future readers will not mis-learn about the encyclical’s being written for everyone! Sorry I goofed! Beautiful and timely. Thank you so much. By the way, Teri, what club was that?? Thanks, Mary Jo. It was Michigan Shores in Wilmette. I sometimes meet Inez there. Bring back memories? And you are in New Zealand, Judith? What a remarkable reminder of our unity! I shall think of you there on the 31st! Yes, in the southernmost city facing the Antartic! But it is not as cold as that sounds. We have beautifully clear skies (and air). I have used many of your seasonal resources with groups who use our centre. So again, thank you. That’s very affirming, Judith — Thanks! That’s terrific, Mary! Happy and safe travels. Watching the blue moon will unite folks throughout our common home! Thanks, Roey! Hope your dreams are always great! Your article is still the best, Judy. I’d have liked to insert it in the section on not being alone! Hope we all see it soon. While there is no comment as such, I am honored that you read my blog and congratulate you on what you have written on this subject — this all-encompassing and essential issue for all of us! I passionately agree that it is a major concern for those with religious beliefs, but it is also a key concern for those aware of the damage being done to the entire planet on which our lives and the future of all species depend. If you have not yet read Pope Francis’ Laudato Si’, I promise it is worth the time it takes. A group met yesterday for the first run-through of my Lenten Reflection on it, and I hope it will bring the heart of the document to many next Lent.